What could be better than enjoying a cold ice cream on a hot summer day? At Ackersate Holiday Park, you can enjoy a tasty sorbet, magnum, or popsicle every day. Take a look at the wide assortment of ice creams in our own Ice Cream Corner. You will find the Ice Cream Corner next to the BIG SNACK snackbar and the theater. Want to know when you can buy an ice cream? Take a look at the opening times. 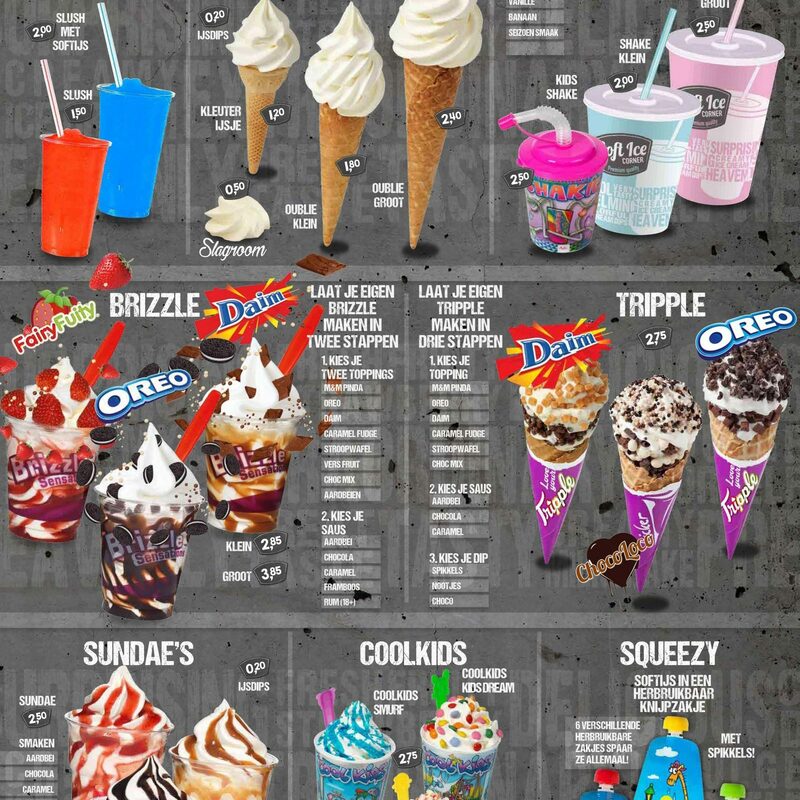 You can choose your favorite ice cream in advance by looking at the image below or by downloading (PDF) the ice cream menu.